The American Society of Civil Engineers (ASCE) assigned the United States’ ENERGY infrastructure a grade of “D+” on their 2009 Report Card for America’s Infrastructure. Electricity generation is the first of three installments on energy and covers nuclear, coal and natural gas, and hydro-electric power generating facilities. Electrical transmission and distribution will be covered in installments two and three as we follow the path of electricity from a power generating facility to your home or business. The goal is to provide an overview on how electrical power is delivered, including issues of current concern. For those that have followed the U.S. Infrastructure Series from the beginning, we’ve traditionally overviewed the types, locations, and quantities of the physical assets. An assessment of the first element in the power delivery sequence, our power generating facilities, reveals that we have 66 nuclear power plants currently in operation, many of which include multiple reactors. We have over 600 coal-burning plants in the United States; once again this number represents separate facilities and not the multiple power-generating units within each plant. Also, while doing research for this article, I was surprised to learn that there are well over 2,000 hydro-electric power plants. Recently on the Operations Channel, I wrote a blog about the resurgence of U.S. nuclear power and the $8.33 billion project intended to add additional reactors to the Alvin Vogtle nuclear power plant in Georgia. This interest in nuclear power may be resurgent because no greenhouse gases are produced when using uranium to generate electricity. Due to continual opposition, it remains to be seen if new nuclear power plants will be built. The diagrams in the YouTube video above help explain features which are common to power plants in general. 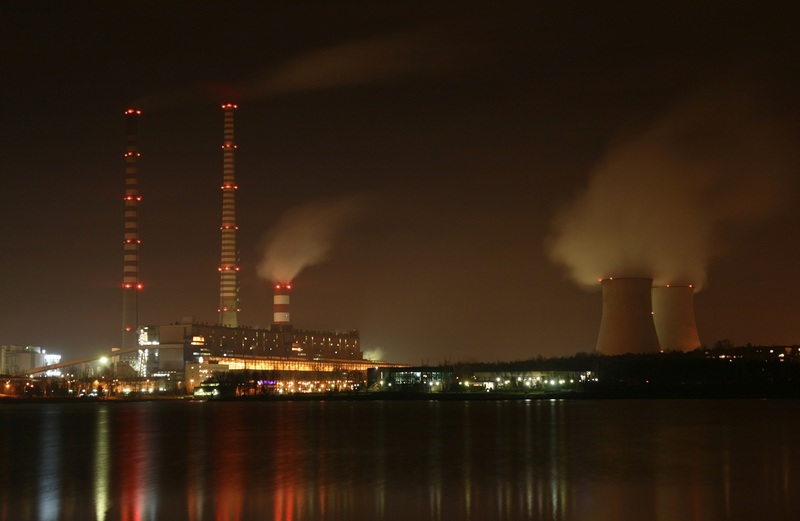 In the case of coal-burning plants, coal is the energy source for the boilers that produce steam. The steam power rotates the turbines, which turn the electric generator(s). As we saw in the nuclear power plant video, a nuclear reaction provides the heat source to create the steam needed to spin the turbines and turn the electric generators. In large power plants that use natural gas as a fuel source, an alternative design approach is to use combustion exhaust gas to spin the turbines, making the overall process potentially more efficient. 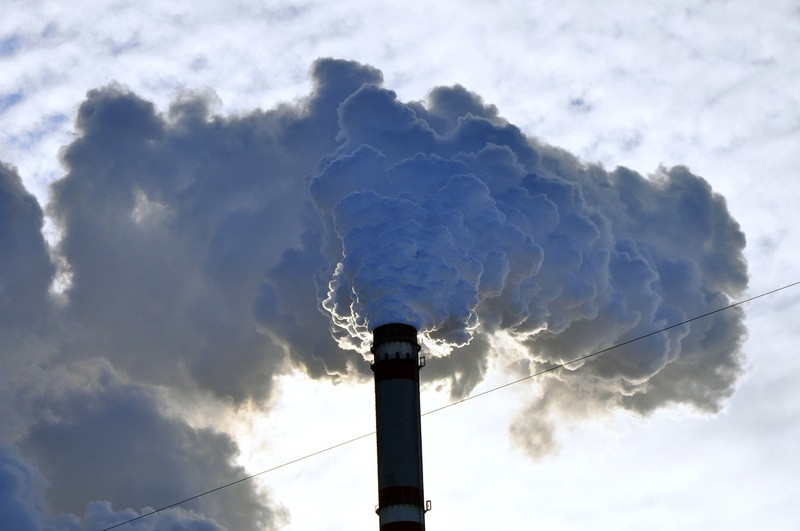 When coal or gas is burned, carbon dioxide is produced. 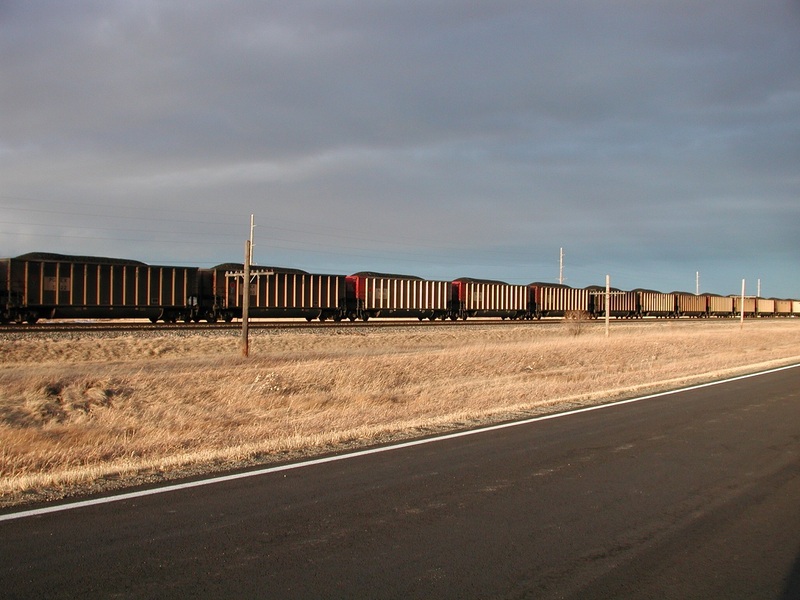 More is produced per kilowatt hour generated with coal than with gas. This is a concern because some believe CO2 is a cause of global warming. In our water infrastructure article We Might Have a Drinking Problem, we introduced the concept of a thermo-electric power plant (coal, petroleum, and nuclear heat sources are included in that category), and the astonishing amount of cooling water that these plants require to operate. Cooling water is needed to transform low energy steam that has rotated in a turbine back into water so it can be pumped back to the heat source and repeat the cycle. A typical thermo-electric power plant may only be around 35% efficient, with most of its production energy being lost as the fuel is burned, heat is exchanged, steam is produced, and friction takes its toll. It takes a lot of energy to make electrical energy. A substantial amount (40%) of America’s energy use is now expended for electricity generation. In relation to our intended “how does this impact you?” theme, as the prices for coal and petroleum commodities increase, so does your electric bill. Hydro-electric plants should not be confused with thermo-electric plants. Hydro-electric plants rely on water power, not heat-sourced steam or exhaust gas to spin the turbines connected to the generators. 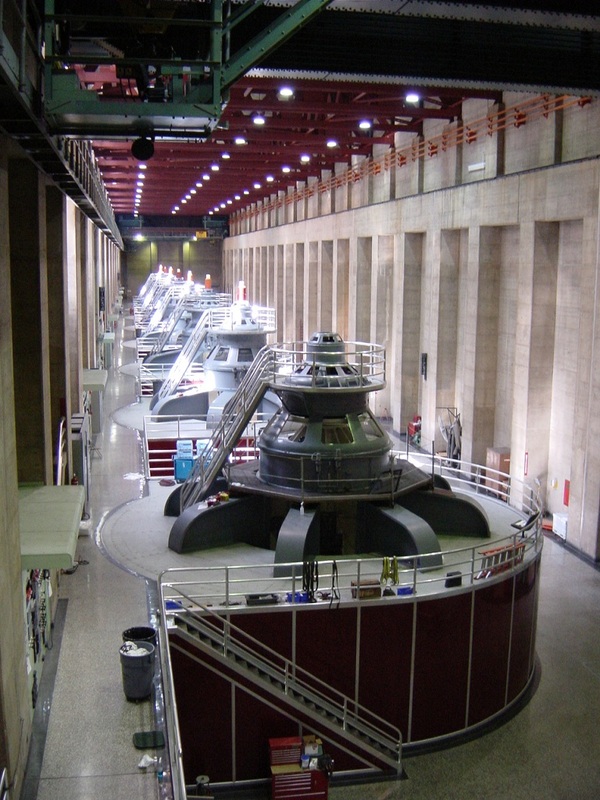 Hydro-electric plants are most often housed within large dam structures. 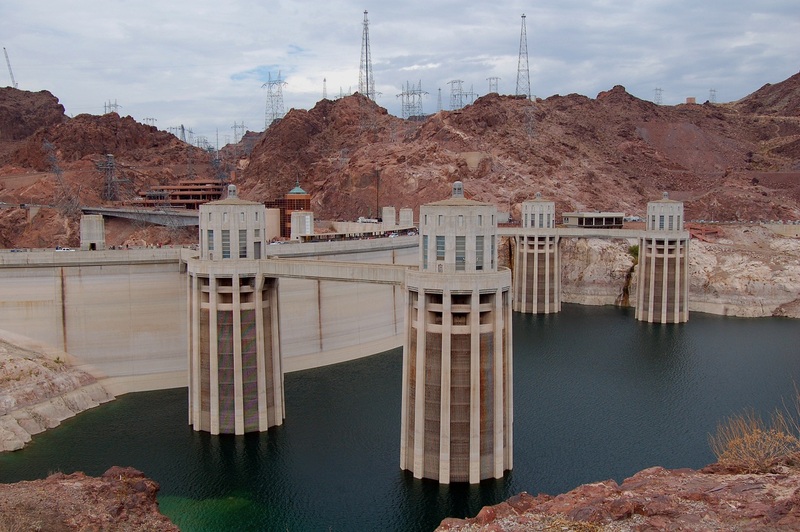 A good example is the Hoover Dam, as discussed in our dam infrastructure article, It’s About Dam Time. Thermo-electric and hydro-electric plants together provide roughly 95% of the electrical power in the U.S. as summarized in this chart. Hydro-electric power plants have some unique and interesting advantages that are worth mentioning. First, water can be pumped into a reservoir during seasons of lower water use, or at times of the night when the electricity required to operate large water pumps can be purchased at a lower cost. Then, during times of high water demand and/or at times of greatest revenue potential, water can be released from the reservoir, spin the turbines, and generate profits as well as electricity. In our previous infrastructure article on drinking water, we included a YouTube video on the Central Arizona Project (CAP). An important element of the CAP is the New Waddell Dam, which includes a notable example of a pumping-generating station. This example really shows how three elements of the U.S. Infrastructure that we've covered (water, dams, and now energy) are linked. Together these infrastructure systems can be optimized for maximum practical advantage and financial gain. In the New Waddell Dam example, a careful balance between electrical power, water use, and associated operating costs and revenues is sought. Typically, the reservoir is filled during the winter and the water is released during the summer, when both water and electricity are in higher demand and command optimal pricing. At other hydro-electric power locations throughout the country, a simpler night/day pumping-generating cycle might be employed with a similar efficiency strategy. A second advantage of hydro-electric power concerns the aftermath of a regional black-out. Since water flow from a reservoir, and not a carefully managed heat-source, spins the turbines, hydro-electric stations can be brought back on-line quickly to start delivering power to customers. This assists thermo-electric plants in being able to resume normal operations by providing an initial source of reliable power as these plants undergo more involved start-up procedures. Considering these points, if you’re like me, then you’d think that hydro-electric and nuclear power suddenly sound like great options. However, the capital requirements for both dams and nuclear reactors are quite extensive, and they introduce a different plane of potential environmental concerns and regulatory oversight. 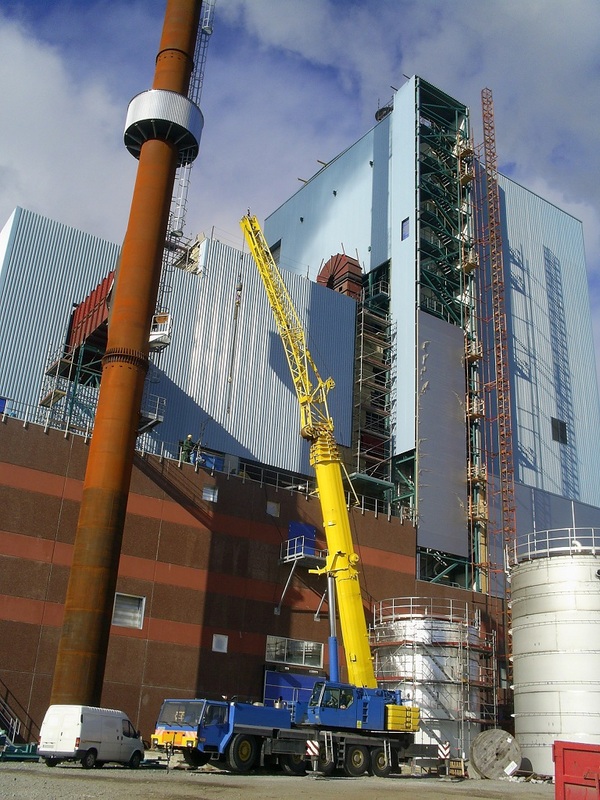 In any case of new power plant construction, there’s always going to be a balance required between the capital and operating costs that factor into the best alternatives. 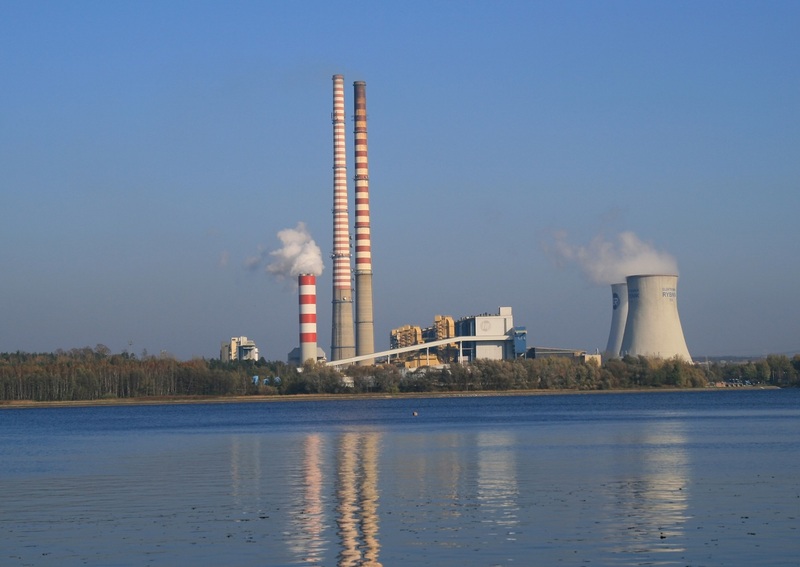 A capital and operating cost analysis for a new power plant project involves an understanding of power plant maintenance, the projected power demands of new customers, and speculation about the electricity rates that they will be charged. Future customers' demands need to be framed not only in total kilowatt hours, but also in terms of when that power is expected to be drawn, since utility rates vary greatly throughout the time of day. The maintenance events on turbines and generators are extensive time and cost propositions, particularly if there are unscheduled or emergency repairs. These are just some of the more direct financial considerations. 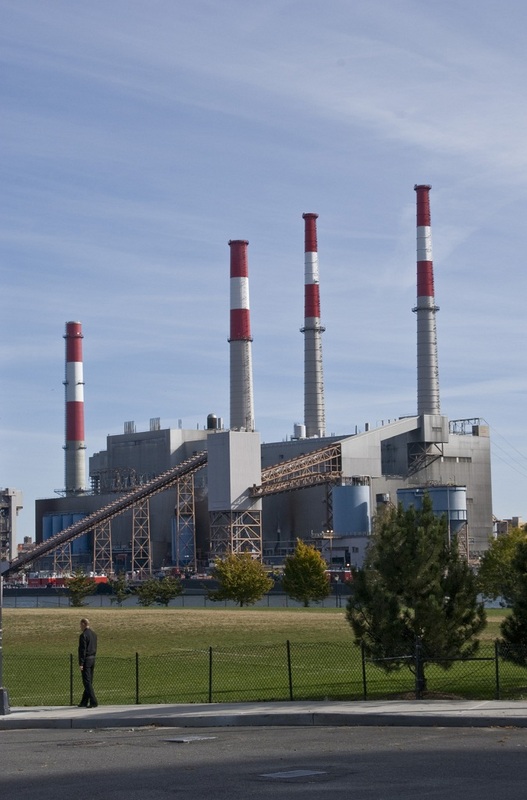 Further complicating cost issues are the regulatory agencies and municipalities that oversee power generation. They can impose new legislation and utility service pricing mandates that greatly impact initial financial assumptions. The various power plant fuel sources (coal vs. nuclear vs. natural gas vs. hydro, etc.) would offer both advantages and disadvantages throughout such a complicated financial analysis of capital and operating cost considerations. Additionally, certain areas of the country are better suited for different types of power plants. All the stakeholders involved in a new power plant project proposal must feel confident that a profit will result before construction begins. Worthy of an entirely separate article are those less common but more innovative methods of electricity generation often seen in today’s news, which account for the remaining 5% (or thereabout) of our national power production. These include “green” power generating approaches such as wind turbines and thermo-electric plants that use waste bio-mass (e.g., municipal trash) as the combustible fuel source for steam boilers. Wind turbines are similar to hydro-electric power in that fluid flow (air or water) is the energy source to spin turbine(s) coupled to generators. I’ve even read articles on the use of turbines housed in large floating barge arrays that are powered by the marine water flow in sequential flood and ebb tides. These types of plants have some specific challenges as well, which we'll address in the second installment covering the U.S. energy infrastructure. Regardless of the method by which electricity is generated, it must make its way onto the transmission grid after leaving a power plant. For the remaining two installments, we are pleased to be partnering with a veteran electric utility professional to bring our Buildipedia audience the best possible content. Please join us next time for Watts It Matter to You? Electricity Transmission. Andrew Kimos completed the civil engineering programs at the U.S. Coast Guard Academy (B.S. 1987) and the University of Illinois (M.S. 1992) and is a registered Professional Engineer in the state of Wisconsin. He served as a design engineer, construction project manager, facilities engineer, and executive leader in the Coast Guard for over 20 years. He worked as a regional airline pilot in the western U.S. before joining the Buildipedia.com team as Operations Channel Producer. How Feasible Is It to Remodel Your Attic?